Were you injured in a motorcycle accident? The attorneys at Long & Long are available to provide clear, honest answers about your options for pursuing compensation. For a FREE claim evaluation, please call our Mobile and Orange Beach, Alabama, law firm at (251) 432-2277. These causes and others can most often be traced back to someone else’s negligence. When someone else’s careless actions or inaction causes a crash, then that person may be held accountable in an accident claim. At Long & Long, we know how to determine who caused the accident. We put all of our skills and resources to the task. Brothers Earle Long and C. Bennett Long have decades of experience representing injured people in Alabama, and they are proud to be joined by attorney N. Staples Wood at Long & Long law firm in Mobile. Your consultation with us is free, so you do not have to worry about any financial obligation to find out if you have a claim. We are available to take your call 24 hours a day, 7 days a week. Fees are contingent at our law firm: That means we do not charge any fees unless we successfully recover compensation on your behalf. These types of injuries can easily be fatal. When they do not result in death, they tend to result in limited mobility, complete paralysis, mental and emotional trauma, and many other life-altering outcomes. Your medical requirements: Immediately after the wreck, you may need emergency room care, surgery, and other expensive medical treatment. Depending on how you were injured, you may need ongoing medical care for the indefinite future. You may need a wheelchair, prosthesis, or other medical equipment in order to adapt to your trauma. In-home medical assistance may also be necessary. Your ability to go back to work: On top of all these medical expenses, you may be unable to work as a result of your injuries. Certain types of physical trauma may change your ability to perform your previous job duties, in which case vocational re-training may be an option for entering a new career. But, if your injuries are so disabling that you are unable to work at all, you may be facing a lifetime of lost wages. The experienced attorneys at Long & Long understand the medical and professional repercussions of severe injuries. After discussing your injuries with you, they can determine if you have a claim. In a case handled by our attorneys, we will fight tirelessly in pursuit of compensation on your behalf. Furthermore, if you are the parent or legal guardian of a juvenile, it is illegal to knowingly permit your child to drive or ride on a motorcycle without proper headgear. Manufacturers and retailers are prohibited from selling motorcycle helmets that do not meet the standards established by Alabama state law. Avoid lane sharing – You should always avoid sharing a lane with another vehicle, even if there is enough room for both of you in the lane. Sharing a lane will reduce your ability to maneuver in the event of an unexpected road hazard such as a spill, pothole, or debris on the road. It is also illegal to lane-share in Alabama with a vehicle other than another motorcycle. Furthermore, it is a good idea not to ride alongside another vehicle in an adjoining lane. If the vehicle drifts into your lane or turns without signaling, you may not be able to avoid a collision. It is better to drop back and drive at a safe distance behind the vehicle in the adjacent lane. Do not drive next to large trucks – Semi-trucks have large blind spots and will often not be able to see you riding alongside them, increasing the likelihood of an accident. Furthermore, if you ride next to a truck, you may not have enough time to get out of the way in the event of a tire blowout. If the debris from the blown tire hits you while you are driving at full speed, you are likely to suffer serious injuries. Avoid driving behind a pickup or other truck that could lose its load – Often, trucks carry large loads which may potentially fly out of the vehicle if not properly secured. If you are hit by one of these objects, your injuries are likely to be catastrophic. Maintain a safe following distance – Maintain a following distance of at least three to four seconds with the vehicle in front of you in case it stops short. Also, be aware that motorcycles have a shorter stopping distance than cars. If the vehicle behind you follows too closely, you may need to veer off onto the shoulder in the event of an abrupt stop in order to avoid being rear-ended. Pay attention to other vehicles at intersections – More than half of all motorcycle accidents occur at intersections. It is important to be aware of the intentions of other vehicles at intersections. Passing other vehicles – Always pass other vehicles with caution, and remember that you may be in another driver’s blind spot while passing. It is illegal to pass another vehicle alongside them, in the same lane. The attorneys at Long & Long have extensive experience with defective product cases. We will determine the ultimate source of the crash. If a manufacturer or designer is responsible for a defect, and did not properly warn people who purchased the bike, we know how to hold them accountable. In a claim handled by our experienced attorneys, our aim is to pursue maximum compensation for you. While we cannot guarantee any specific outcome, we can guarantee that we will not stop fighting until the best possible results have been obtained. 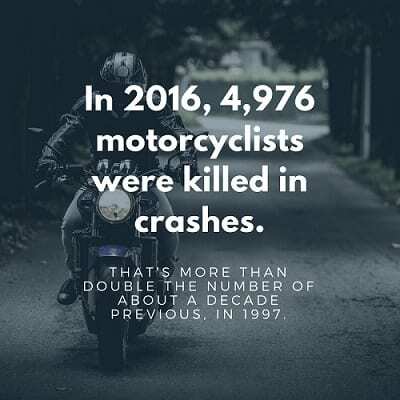 It is important for our attorneys to get to know how the injury has affected your life, so that we can demonstrate to judges, juries, insurance adjusters, and other parties the extent to which the motorcycle accident has altered your life. Were you seriously injured in a motorcycle accident caused by someone else’s negligence? Was a loved one killed in an accident caused by someone else? If so, please call Long & Long for a FREE case evaluation at (251) 432-2277. Our law firm has locations in Mobile and Orange Beach, and we proudly fight on behalf of people from across Alabama. 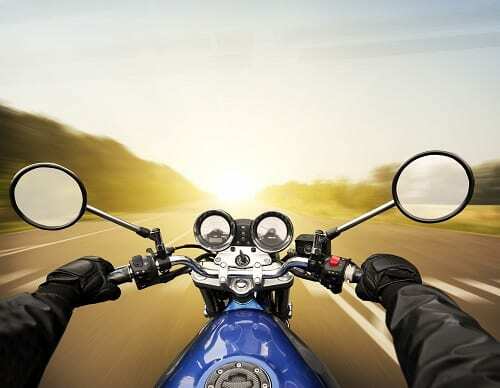 Why are motorcycle accident claims different from auto accident claims? Motorcycle accident claims are different than auto accident claims because there are often motorcycle-unique causes for the accident, injuries may be more serious, there are different laws concerning motorcycle riding, and the physics of a motorcycle accident are much different than those involved in an auto accident. Can I recover even if I wasn’t wearing my helmet? 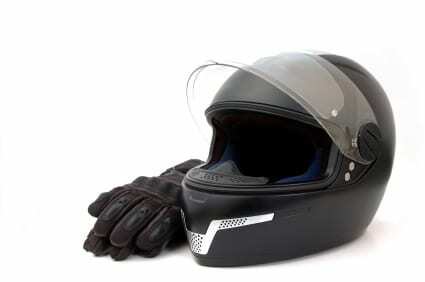 In Alabama, all motorcycle riders are required by law to wear helmets when operating their motorcycle. If you are involved in a motorcycle accident, and you were not wearing a helmet, you may not be able to recover from injuries that could have been prevented had you been wearing a helmet, but you may still be able to recover compensation for other damages. The best way to determine if you are able to recover compensation for your injuries is to call Long & Long. Can I recover from a motorcycle accident even if I did not collide with a car? Yes. 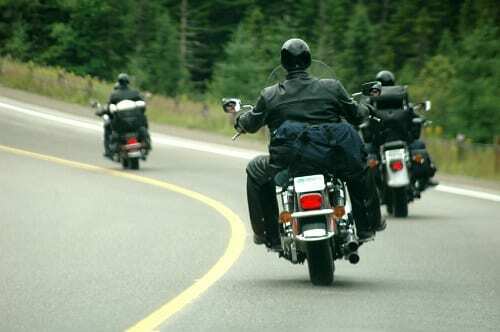 For many motorcyclists, swerving is just another part of riding. Car drivers often fail to see motorcyclists, and as a result, the motorcyclist must swerve to avoid an accident. If you are riding, and a negligent driver causes you to be involved in a motorcycle accident because you were avoiding another collision, you may still be able to recover compensation for the injuries you suffer. An experienced motorcycle accident attorney is absolutely crucial to the outcome of your motorcycle accident claim. When you are involved in a motorcycle accident, a motorcycle accident attorney will be able to help you through every step of the claim process. An experienced motorcycle accident lawyer will be familiar with all aspects of the law that make your motorcycle accident unique. For instance, he or she will be knowledgeable about helmet laws, motorcycle insurance, and motorcycle riding laws. Also, a motorcycle accident lawyer will be much more effective negotiating with the insurance company.